Sydney Shop Girl: Lovin' Life 24/5/2018: Kmart’s Stationery. My Gratitude Journal. Lovin' Life 24/5/2018: Kmart’s Stationery. My Gratitude Journal. Kmart is having a moment right now in the world of journals and planners. My blogging buddy, Leanne at Deep Fried Fruit is a keen fan of Kmart's work and reading her posts about her latest purchases inspired me to 'have a look' the other day. 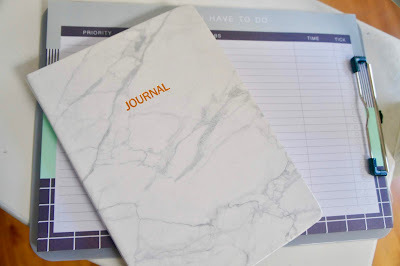 No one reading here today will be surprised that I ended up leaving with a $4 journal with a marble effect cover, a pad of 'To Do' lists for $3.50 and a clipboard to hold the lists ($2.50). A close of up of a sheet from the 'To Do List' pad. In the weeks that have passed since making my purchases, I've put all three to good use. The 'To Do List' system is working really well for tackling life admin at home. 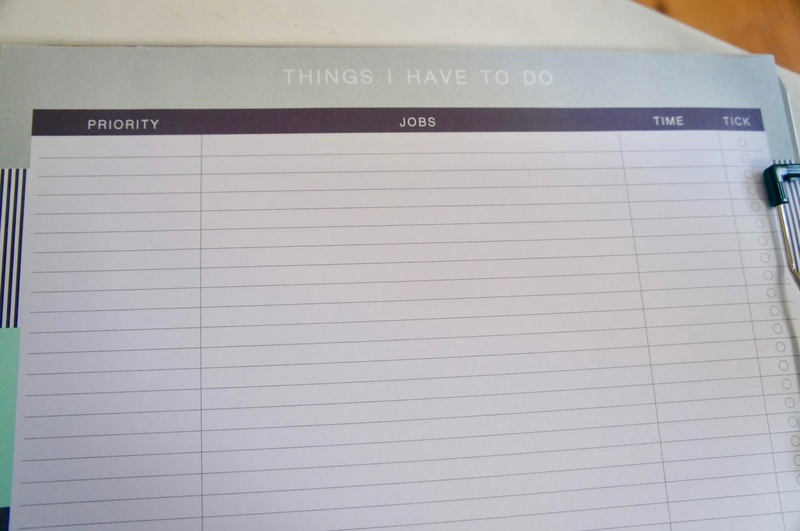 I add tasks as I remember them and spend a few minutes on the mornings of my non work days figuring out what I can tackle from the list that day. The 'tick off' column at the end is the most satisfying section for me. I still can't resist running a line through completed tasks after ticking them off, though. As for my journal, there's a bit of a story to tell. I've begun a Gratitude Journal on its pages. Each day's entry in my journal begins with 'Today I am grateful for:'.... and I aim to write down three things or moments per day. It's not been as hard as I thought it would be. Ironically, I've had more to be grateful for on the days I thought would never end. Somehow the very things that made those days painful ended up on my list as situations or experiences that precipitated a positive change in some aspect of my life. The need to write about the good things of each day has indirectly helped me become more mindful. It's hard to be frustrated, angry or cynical for too long if you're hell bent on filling your daily quota of three items to be grateful for. Settling down at the end of the day with a pen and my journal is something I look forward to as much as my evening mug of peppermint tea. In this world of e-everything (or should that be i-everything) and clouds of data, having something positive to hold and write in helps give my gratitude a physical presence and a kind of certainty. I've found myself including quotes and excerpts from inspirational posts I've seen on social media as well as the events of my own daily life. There's always been something inspiring or motivating to look back on when I flick through the pages I've already completed and literally highlighted this year. Are you a fan of the 'To Do' list? I am also a huge fan of Kmart stationery (well, Kmart in general to be honest). I've got a beautiful planner from there which sold out quicker than you can say grey with rose gold accents. I also use their meal planner religiously, and totally agree with the simple joy of ticking things off when done! I keep my 'to do' list in my online calendar and look at or think of my 'completed' list at the end of the day as my gratitude journal. I have a KMart journal waiting in my desk for me to finish my current one - it's pink and gold and I can't wait to use it. Pretty stationery is such a great way to inspire us to write more isn't it? Ohh SSG, you read my mind. 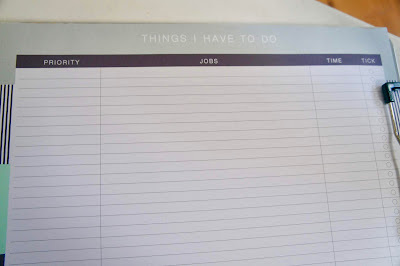 I need a new To-Do list booklet but I daren't head to a stationery shop because I know I'll get sucked in and come out having spent far too much. Yes, I love a paper to-do list much more than an online one. I have a ridiculous amount of Kmart journals with random scribbles in them, that once started out with the best intentions to be gratitude/journals used daily. I love looking back through my thoughts. The other week I came across some goals I set at the blood (full) moon - maybe in late January (?). It's interesting to see how your priorities and ideas shift when your not consciously focusing on them.